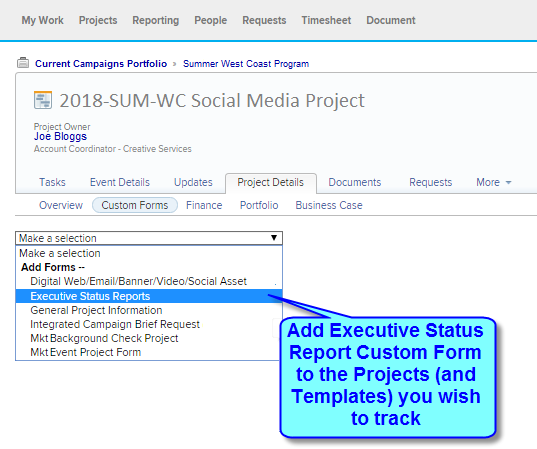 Our Executive Status Report solution delivers you unparalleled insight with meaningful, executive-worthy project status reports, including branding, Gantt chart, task highlighting, and issue trending. 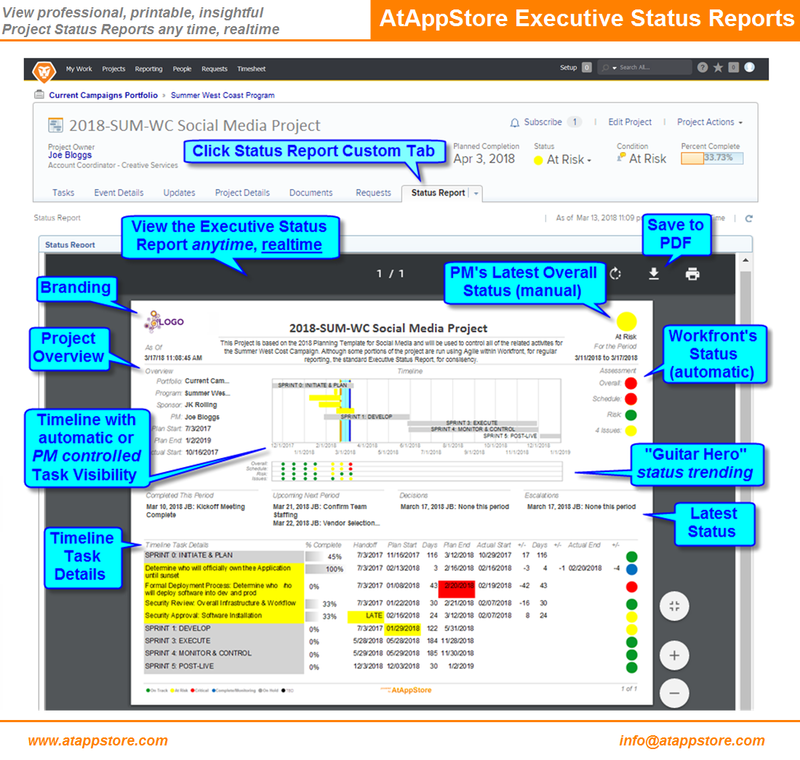 Our Executive Status Report can save an enormous amount of (precious) project management time: no double entry, no exporting data to Excel and then reformatting in PowerPoint, and no lag in the message. 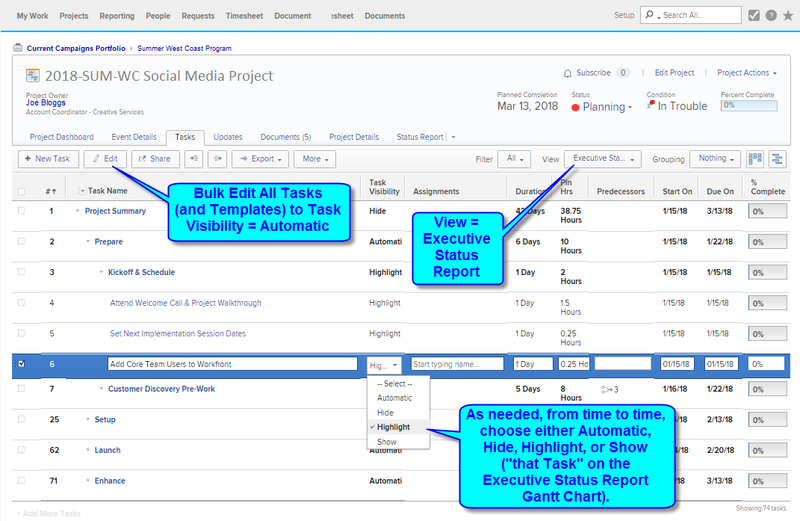 Instead, it’s review the plan, update a few comments, take the Snapshot, toggle the most relevant tasks, and view the results: ready for discussion, printing, or emailing. 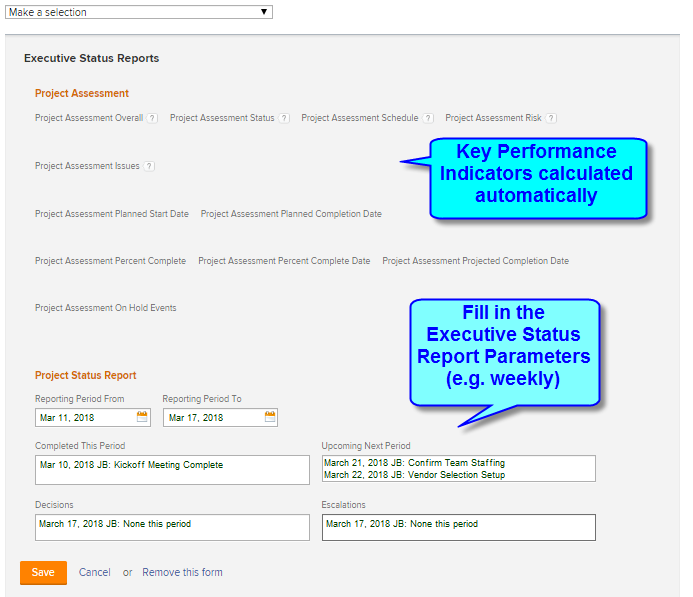 Your first year’s annual license of Executive Status Report includes up to four hours for branding, installation, and training. And because it’s based on our Magic Reports technology, if you’d like us to tailor it to suit your needs exactly, we’d be happy to discuss a fixed quote to do so.